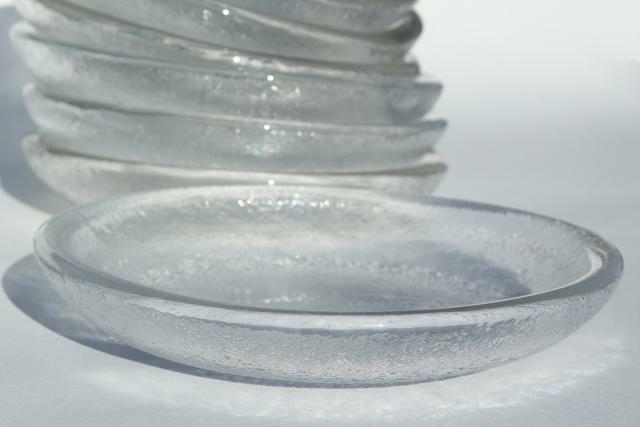 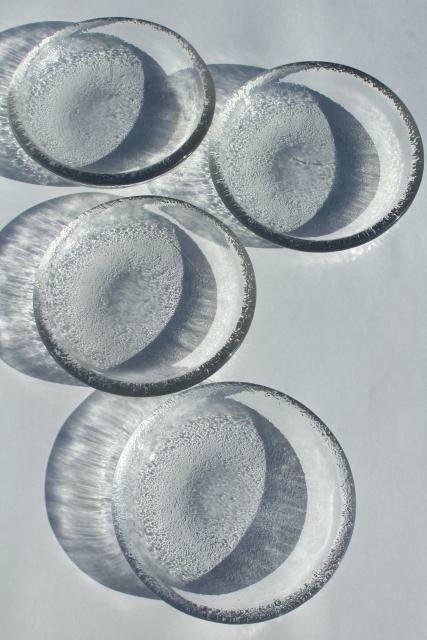 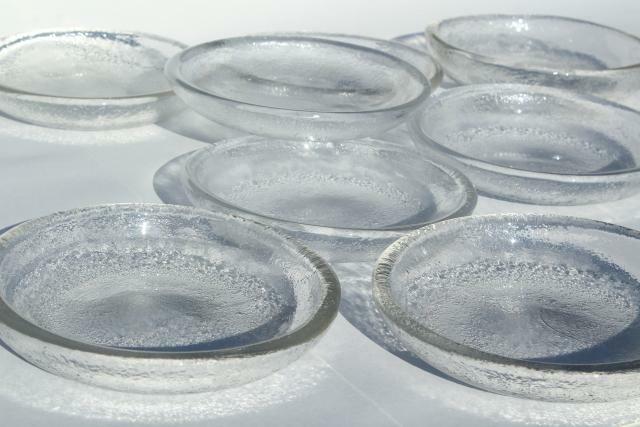 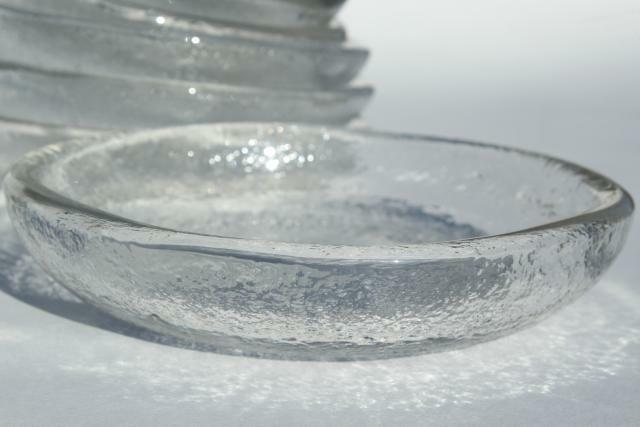 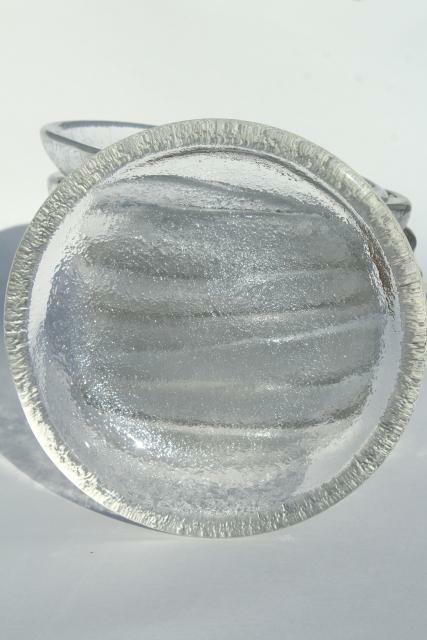 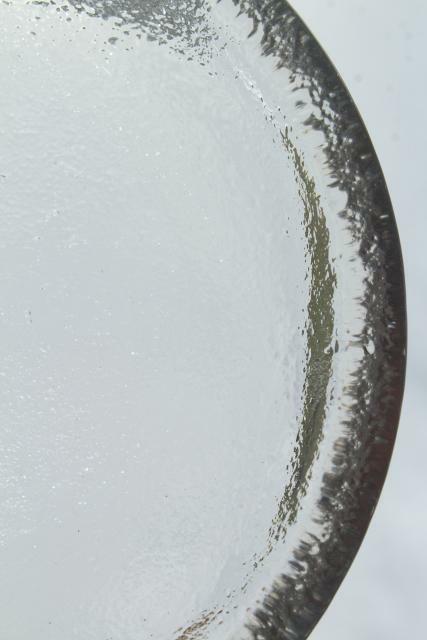 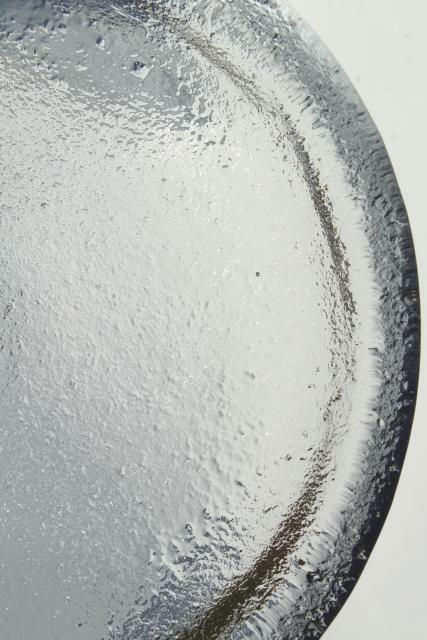 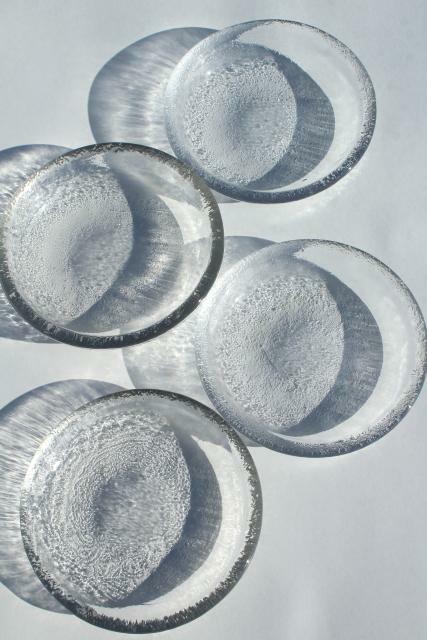 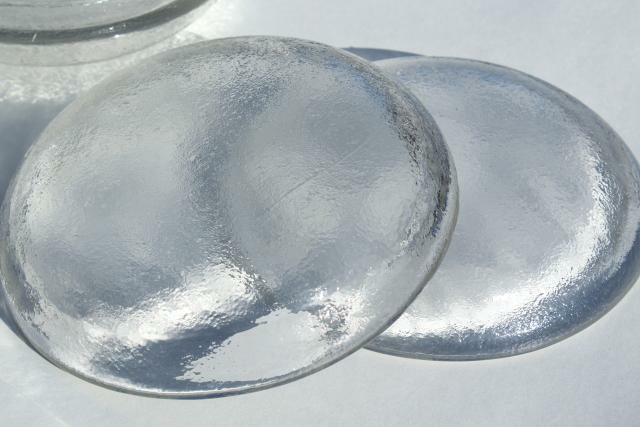 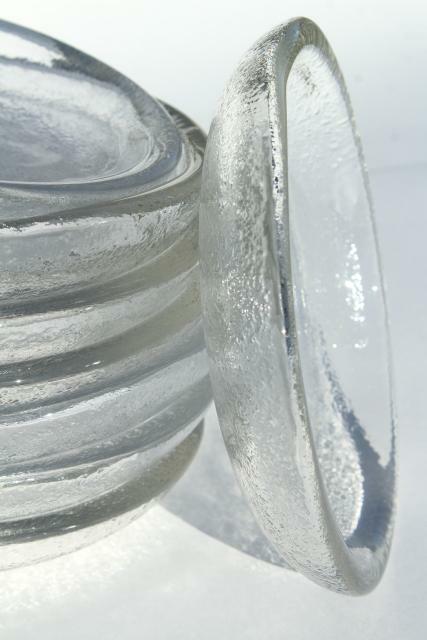 Mod vintage ice textured glass salad bowls, very heavy crystal clear glass. 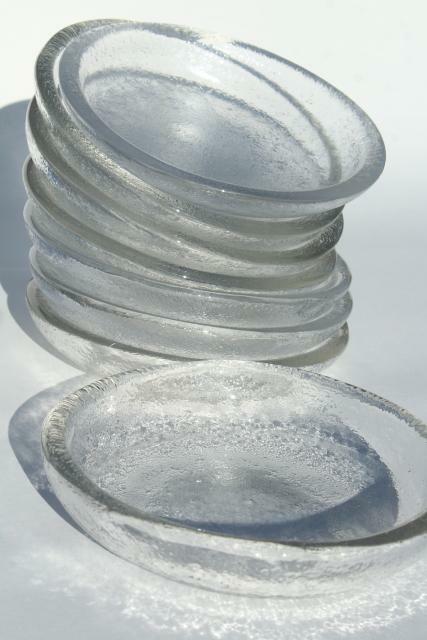 These have lovely art glass look, likely European, though we're unsure of the maker. 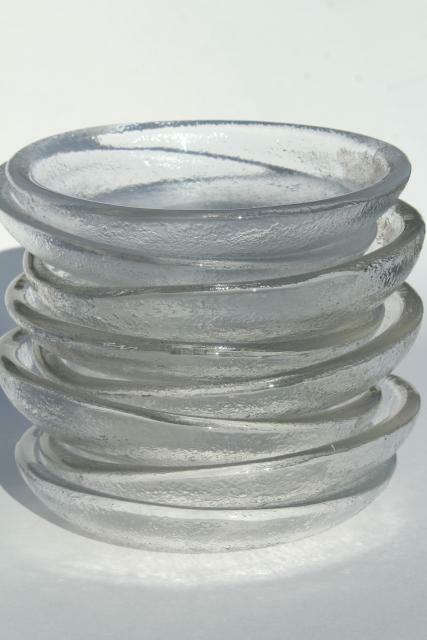 This is a set of eight bowls 7 3/4" in diameter, all in excellent condition without damage, or noticeable wear.